John Tomac is among the racers who have displayed the dominance of Manitou’s suspension products in years past, and the company is responsible for several standards such as 1.5-inch steerer tubes, post-mount brake mounts, and twin-piston-chamber suspension systems. That said, these innovations were brought forth over a decade ago–a lifetime in mountain bike technology. When Manitou released the Mattoc fork, they proved that the brand still has what it takes to make a quality damper, and the newly updated Mattoc Pro 2 is aimed to sit atop the podium once again. The Mattoc Pro 2 sports the same MC2 damper and chassis of the original with the exception of a revised Hex-Lock SL 15mm axle, which requires a 5mm allen for installation. The tooled axle rigidly connects the wheel between the legs, and is much simpler than Manitou’s sometimes-finicky Hex-Lock quick-release thru axle. Manitou built the Mattoc around 34mm stanchions that support 140-160mm of internally adjustable travel. 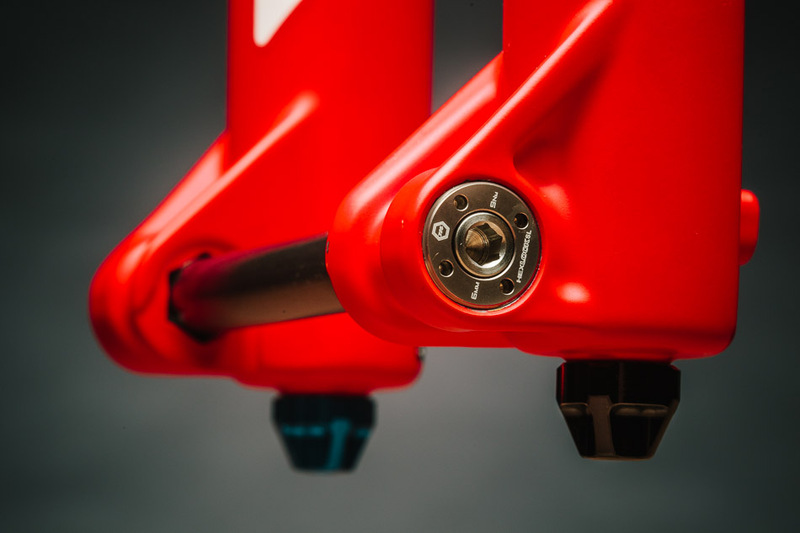 New to the fork are two air spring systems: Incremental Volume Adjust (IVA), which comes stock, and Infinite Rate Tune (IRT), which is available as an aftermarket upgrade. 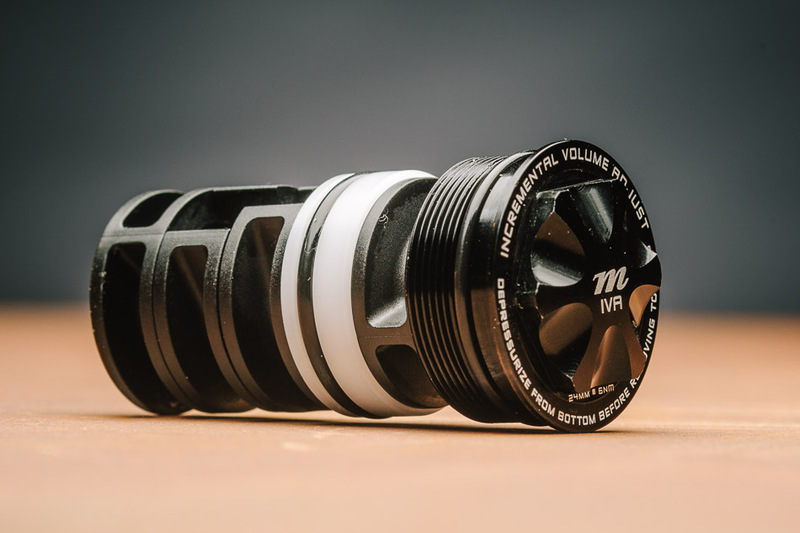 Like Fox and RockShox’s current air springs, IVA enables users to adjust the volume in the positive air chamber, but accomplishes the task slightly differently. What makes IVA cool is that all the spacers to control the air volume are already inside the fork, you simply move them to either side of the air seal to affect the chamber size, thus adjusting beginning-stroke suppleness and end-stroke ramp up. In other words, there are no volume spacers to lose, because they're stored inside the fork. In the few short weeks I had on the fork, it became evident that Manitou’s Racing Development (MRD) has generated something special. IVA updates the adjustability of the fork to put it on par with its competition, and riders desiring the most adjustability have the option of the IRT air-spring kit. 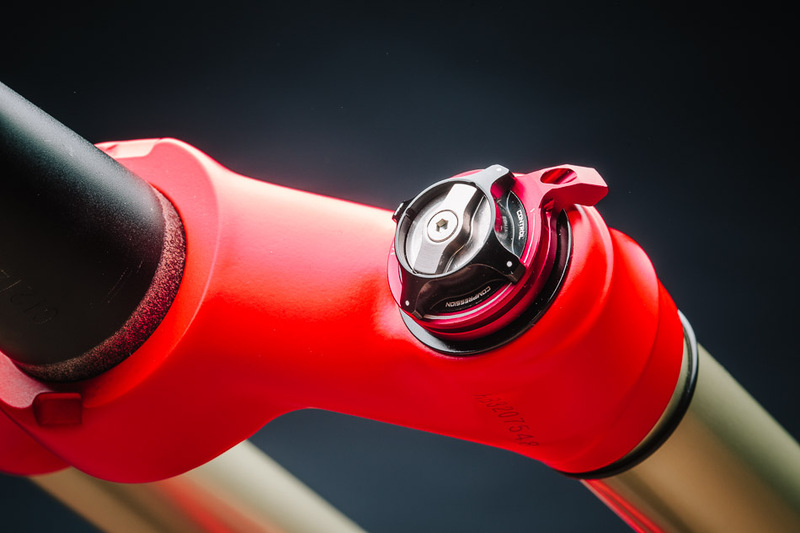 This system, coupled with the damper’s Hydraulic Bottom Out (HBO) creates a very supportive mid-stroke and bottomless feel, meeting the needs of the most demanding riders. The Mattoc chassis resists flex more than its 34mm stanchions would suggest. Torsional rigidity is easily on par with the Fox 34 and RockShox Pike, and the unique Hex-Lock axle does its job preventing the lowers from twisting or deflecting. The fork’s stellar air spring and damper performance encourages aggressive riding and might even have you keeping up with your buddies on more burly rigs. In this sense it’s hard not to compare the fork with the heavyweights of the 160mm travel world such as the RockShox Lyric or Fox 36. And when playing in that field, hard-charging or heavier riders will notice a hint of flex over forks with beefier chassis. But for a fork with 34-millimeter stanchions, it's damn capable. You might expect a fork with more features than its predecessor to go up in price, but the Mattoc Pro 2 is actually 50 bucks less, at $800. Even better, IVA and IRT are backwards compatible with the original Mattoc, allowing riders to upgrade what they already have. So far, Manitou’s latest Mattoc seems to make stepping away from the herd more attractive than ever. I’ll be putting in more hours on this new Mattoc, including some time on the IRT damper. Stay tuned for a full review.